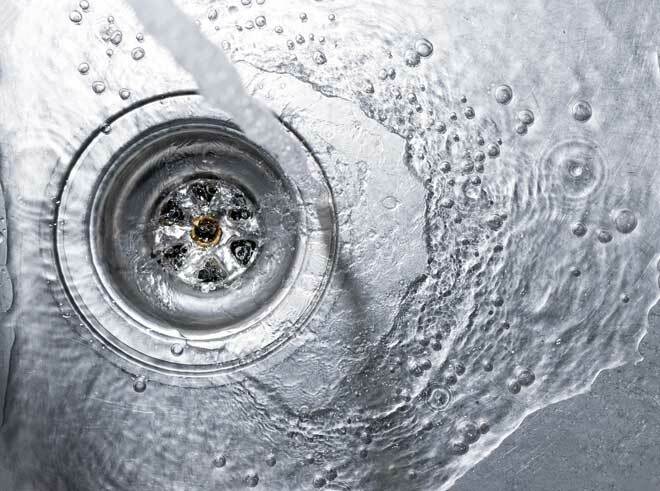 A slow-running drain is a real nuisance, and a completely clogged one can leave your sink or shower unusable. As urgent as the problem might seem, not every blocked drain requires harsh chemical cleaners or help from a plumber. In most cases, you’ll be able to clear the drain using common household products or basic plumbing tools. A partly blocked drain can often be cleared using common products you’ll find in your kitchen. Depending on the extent of the clog, you may need to repeat the cleaning process. A combination of baking soda and vinegar is one of the most popular home remedies for clogged drains. When combined, these two products react to each other in a way that breaks down debris in the drain. Pour a full pot or tea kettle (around 2 quarts) of boiling hot water into the drain to loosen stuck on debris there. Pour in 1/2 cup baking soda followed by 1/2 cup vinegar. Then pour in 1 cup of hot water. The mixture should start to fizz enough that bubbles emerge from the drain. Plug the drain opening or block it with a rag to keep the bubbles in the drain. Give the mixture 10 minutes to work. Flush the drain by pouring in another pot of boiling hot water. 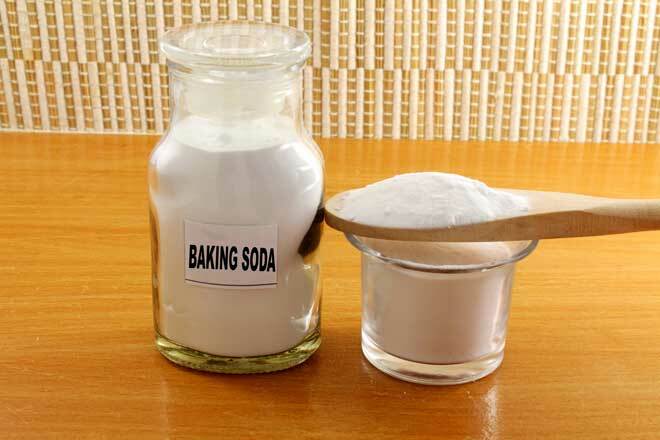 If you don’t have vinegar, you can use baking soda and salt. Mix 1/2 cup table salt and 1/2 cup baking soda. Pour the mixture into the drain and let it work for 15 to 20 minutes. Flush the drain with a full pot of boiling hot water. Using salt alone is another option, although this works best on minor clogs. Pour 1/2 cup salt into the drain, followed by a pot of boiling hot water. Let this sit for 15 minutes, then rinse it down with another pot of boiling hot water. To get rid of greasy clogs in your drain, try a liquid dish soap formulated to cut grease, such as Dawn, Joy or Palmolive. The surfactants, enzymes, and other ingredients in these cleaners break down fats so they can be rinsed away. For a minor, partial blockage, pour 1 tbsp of dish washing liquid into the drain. For a complete blockage, pour in 1/2 cup. Follow this with a pot of boiling hot water, let the solution work for 15 minutes, then flush the drain with hot water. Repeat the cleaning process if you can tell the blockage seems to be breaking up and the drain is flowing more freely. If you can’t make any progress with a homemade drain cleaner or dish soap, try using a tool designed for clearing blocked drains. You can also use these drain cleaning methods once every two to four weeks to prevent the debris buildup that causes clogs. For more severe clogs, you’ll get your drain cleared faster using a common plumbing tool such as a plunger or drain snake. If you’re dealing with a sink drain, first remove the drain trap (curved part of the pipe under the sink) to check for debris. This is a common place for blockages to form. A plunger is enough for most moderately blocked sink, bathtub or toilet drains. Before you start, make sure you have the right type of plunger. A sink plunger has an open rubber cup. On a toilet plunger, the rubber cup has an additional flange (ring) in the center. To start plunging, fill the sink, tub or toilet bowl with enough water to cover the plunger cup. Plug the sink’s overflow drain with a rag or other material. On a double-bowl sink, plug the drain in the sink you’re not working on. These steps help the plunger create the suction it needs to loosen the clog. Press the plunger down over the drain opening to create a seal. Pump the plunger up and down vigorously for 15 to 20 seconds. Pull straight up on the plunger. If water starts to flow down the drain, it means the clog is breaking up. Add more water, and plunge the drain for another 15 to 20 seconds. Repeat the process until the drain runs freely. Some clogs are either too dense or too far down into the plumbing to be loosened with a plunger. If plunging the drain seems to have no effect, move on to a cable auger, also known as a plumber’s snake. This is a long, flexible steel cable with a corkscrew hook or a cutting blade on the end. It’s fit with a crank handle that lets you feed the cable down into the pipe to reach the clog. These tools can be found at most large home improvement stores. Before you start, place a bucket and rag nearby for cleanup. Push the end of the drain snake into the drain and rotate the snake’s handle clockwise. Keep your hands just a few inches above the drain for more accurate control. Continue to lower the cable into the drain until you reach the clog, which should move slightly when hit. If you meet resistance that doesn’t move, it might be only a bend in the pipes, so keep lowering the cable. Hook the clog by prodding it while turning the cable clockwise. Once the clog is hooked, slowly pull the snake up out of the drain and dump the clog into a bucket. If you can’t hook the clog, prod at it to break it up. When you think the clog is gone, pour a pot of water down the drain. If the water still doesn’t flow freely and you’ve already tried other home remedies for clogged drains, it’s time to call a plumber. A plumber will be able to get rid of the clog without damaging your pipes. A drain that’s running slowly can usually be cleaned with common household products such as baking soda and vinegar or liquid dish soap. For more stubborn clogs, you’ll get the best results by using a plunger or drain snake.